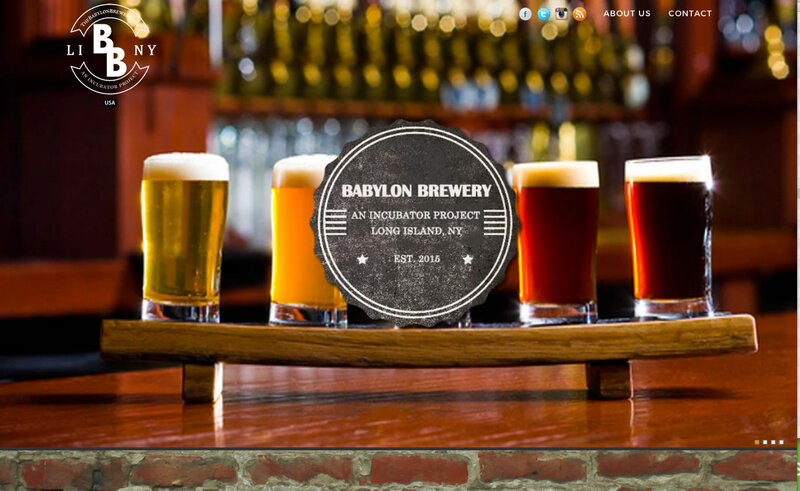 The Babylon Brewery is a so-called "Incubator Project" by the Babylon Industrial Development Agency - an "Incubator Project" is a project that serves as a foundational starting point for future economic development. In this case, the centerpiece of the proposed Babylon Brewery is a sizable property that has been vacant for years - the renovated and redesigned structure will be ideally suited as an incubator space for Long Island's growing craft beer industry. But brewing is only the beginning - the space will also be a vibrant center for retail of all kinds, all in keeping with the character of the community. When the Babylon IDA decided to create a web presence for the venture, they wanted to evoke the look and feel of a typical craft brewery - InterCreative was up to the task in creating a mobile-friendly, "one-page" site that will serve as an introductory overview in the initial stages, while establishing a foundation for project-related news going forward. We're thrilled to be in on the ground floor, so to speak, and are very much looking forward to seeing the project reach its full potential - congratulations to the Babylon IDA on coming up with such a great idea and, well... Cheers!